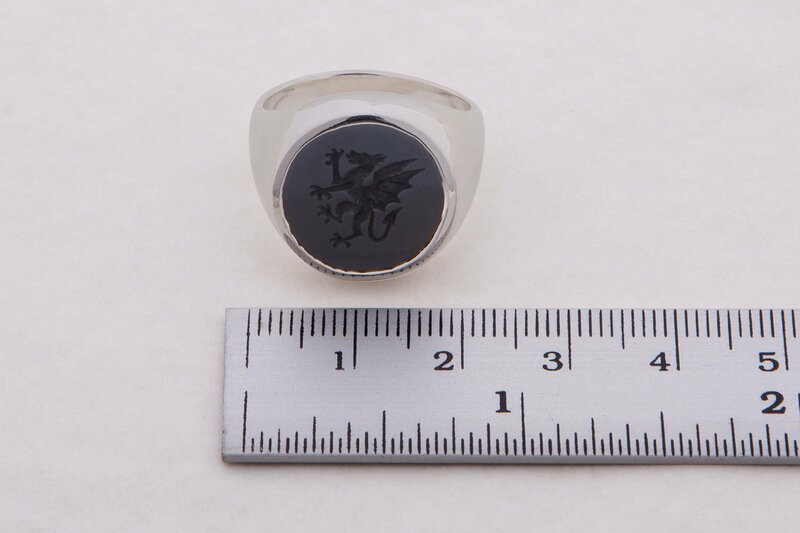 This is a dragon ring with the design engraved into high quality Black Onyx. We mounted the roundel to a solid sterling silver chassis. 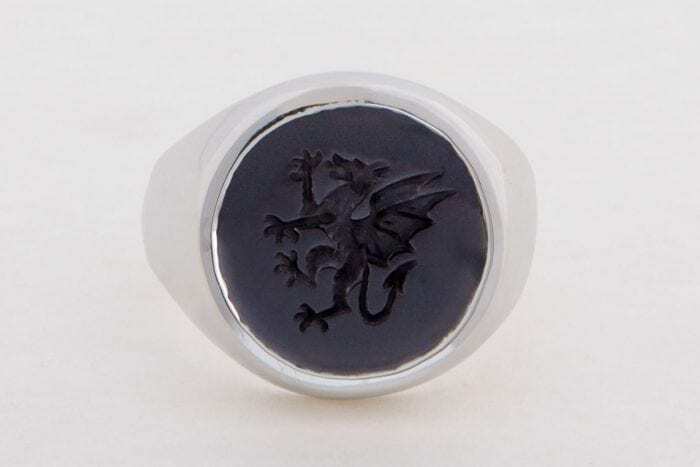 We crafted this dragon ring engraved intaglio and you can therefore use it as a sealing ring or signet ring if required. A skilled craftsmen engraved the dragon rampant into a fabulous oval of high quality black onyx. This creates a strong and assertive statement. 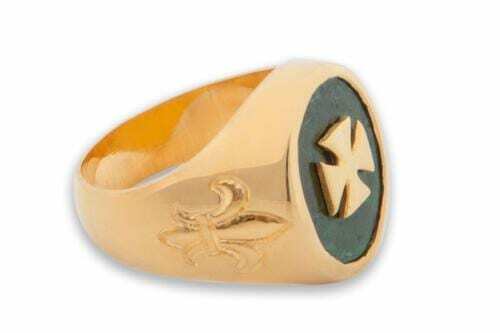 Dragons are associated with bravery in heraldic symbols. This one is a Western Dragon and rampant means that it is rearing up. We made this dragon ring at 16 mm (5/8 inch) which is one of our smaller heraldic rings. 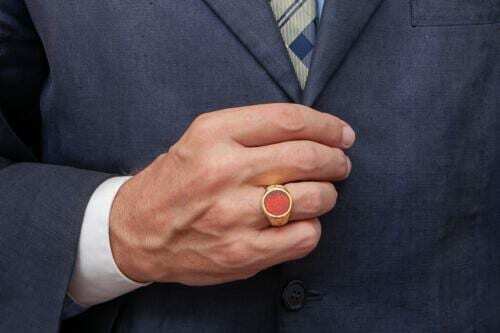 It is therefore very suitable for ladies and smaller hands. 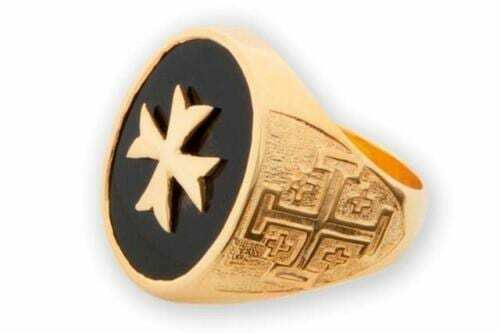 You can wear this ring with most shirt designs and the black color also stands out with most suits or jackets. 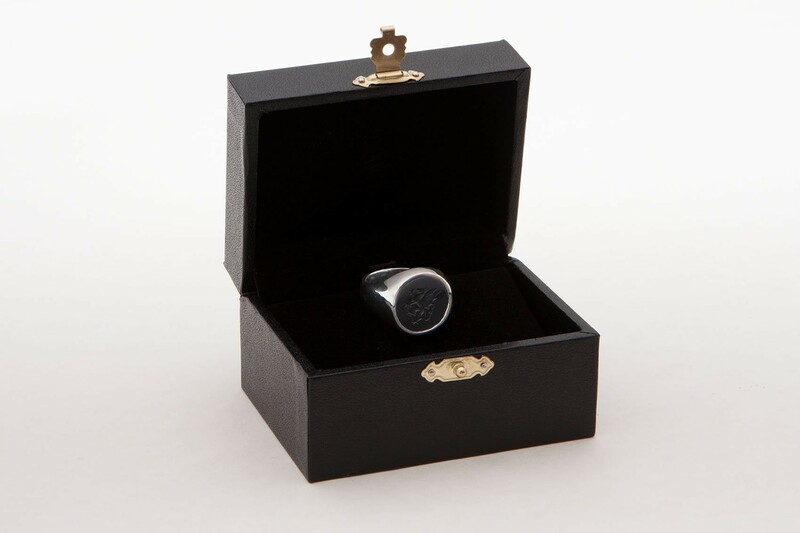 We include sizing the ring to fit your finger in our price. Please remember to tell us your finger size when ordering. If you do not know your size please select ‘Not known – Supplied late’ and let us know your size as soon as possible. 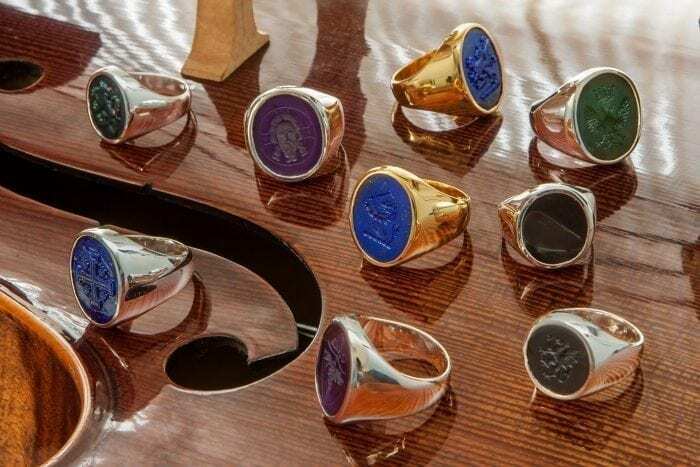 We include worldwide shipping by insured, registered track-able post in the price. Shop with confidence in the knowledge that we cover all our work with a no nonsense 30 day warranty. Return the ring it within 30 days for an immediate refund or replacement if for any reason you are not happy with it.. 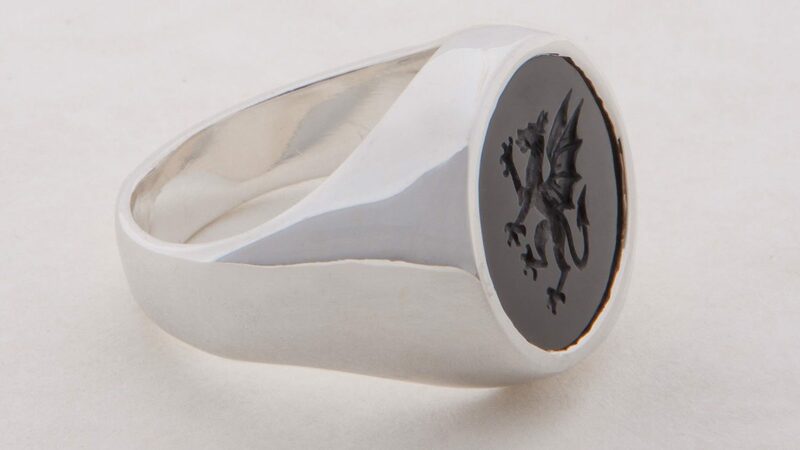 Please buy this dragon ring now.